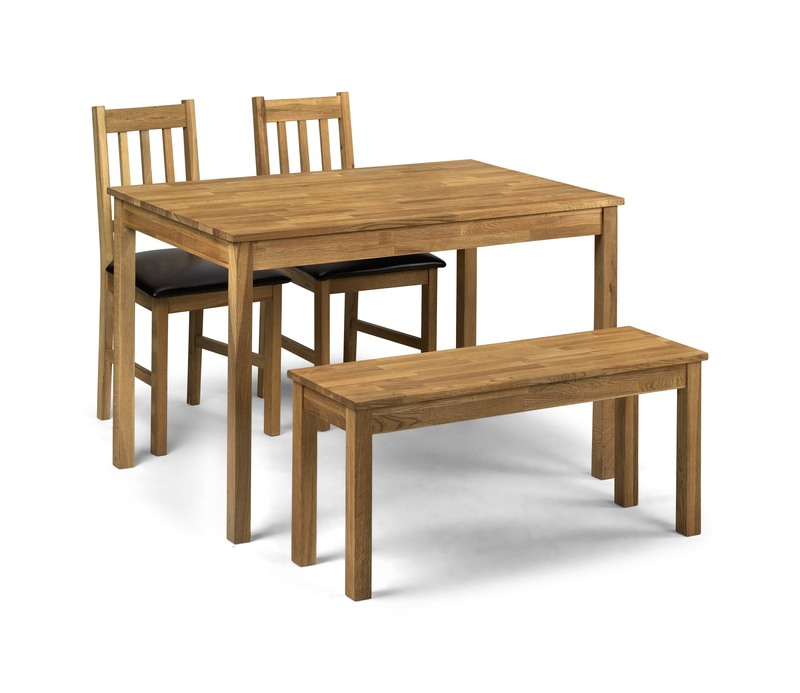 The Vintage Style Solid Oak Rectangular Table Set (Table + 2 Chairs + Bench) is an attractive feature for any dining room or kitchen. 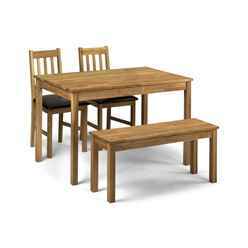 The set is constructed using Solid American White Oak which is sturdy and durable and the Rich Oiled Finish provides an aesthetic look. This product requires assembly. Free UK Mainland Delivery – Monday-Friday. 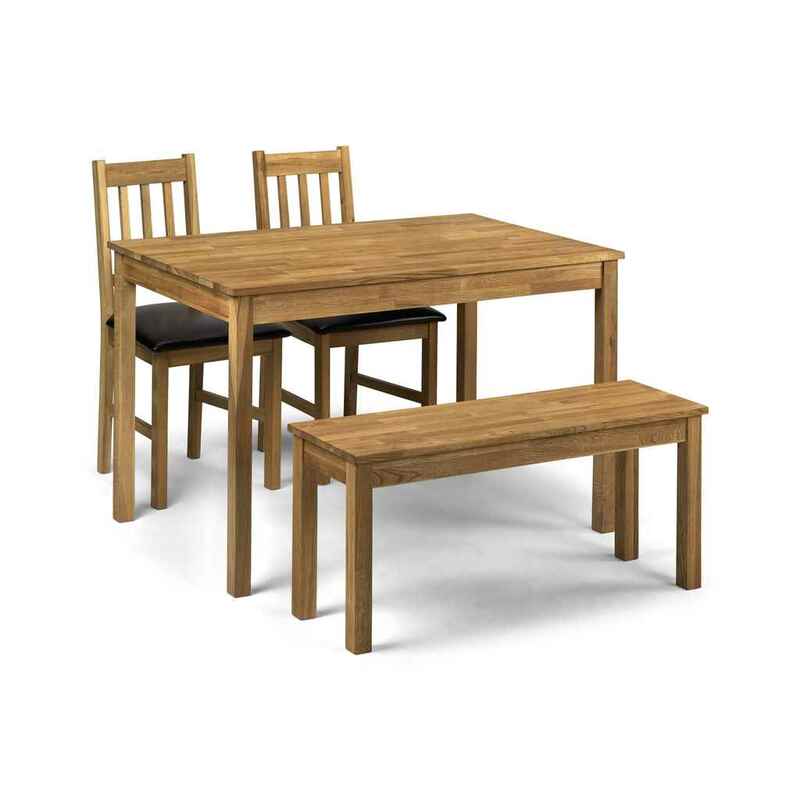 Delivery is carried out by a professional, 2 man, manufacturer team who delivery to a room of choice and work tirelessly to ensure no delays and exceptional service. Please note some Scottish highland and islands postcodes (such as AB26+ , FK 20-21 ,IV , KW 1-14, PH15-41), Northern Ireland, Isle of Wight, Isle of Man and Eire will incur a surcharge.